With a population of nearly 10 million, Chicago is the third most populous metropolitan area in the United States. It’s also one of the most important business centers in the world and is known as a global architecture capital. An international hub for finance, industry, technology, and transportation, Chicago is ranked seventh in the world in the 2016 Global Cities Index. The city has the second largest central business district in the United States and is home to the Federal Reserve Bank of Chicago, Chase Bank’s commercial and retail banking headquarters, Boeing, Kraft Heinz, and 12 Fortune Global 500 companies. 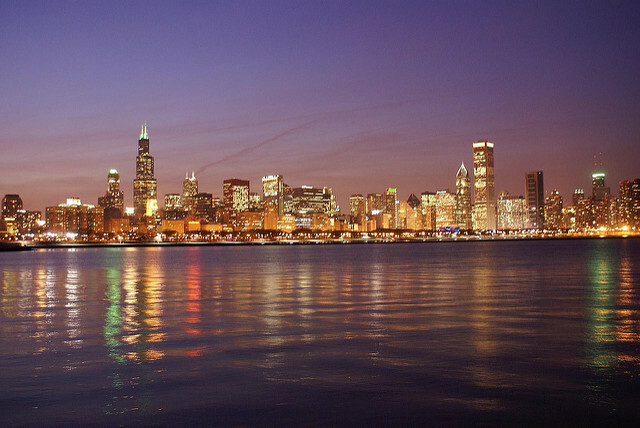 Chicago is home to a number of major colleges and universities, including Northwestern University, University of Chicago, and the University of Illinois at Chicago. Chicago is a major center for tourism, hosting more than 54 million domestic and international tourists. They are attracted by landmarks including Navy Pier, Millennium Park, and the Magnificent Mile. Chicago is one of America’s best sports cities, with the Chicago Cubs, the Chicago White Sox, Chicago Bears, Chicago Bulls, and Chicago Blackhawks, with honors including three World Series titles, nine NFL Championships, six NBA Championships, and six Stanley Cups. Chicago has extensive cultural attractions, including the Art Institute of Chicago, Museum Campus, the Museum of Science and Industry, Chicago Symphony Orchestra, and the Lincoln Park Zoo. The city is known for its improvisational comedy, visual arts, design, and music. Foodies take in Chicago’s signature deep dish pizza, Chicago style hot dog, Italian beef sandwich, and more. Chicago has exceptional park resources, ranking 11th out of America’s top 100 park cities and featuring more than 13,500 acres of park land in the city. In fact, park land makes up 10 percent of Chicago’s total size. There are 4.5 basketball hoops per 10,000 residents, .9 dog parks per 100,000 residents, 3.5 playgrounds per 10,000 residents, and 1.8 recreation and senior centers per 20,000 residents. Overall, there is a population density of 20.3 per acre. At 1,189 acres, Lincoln Park is Chicago’s largest and most visited municipal park. Lincoln Park is home to Lincoln Park Zoo, the Chicago History Museum, DePaul Art Museum, the Lincoln Park Conservatory, Peggy Netobaert Nature Museum, and Lincoln Park Cultural Center. There’s no denying Chicago’s greatness, as it has been nationally recognized as one of America’s best cities. Chicago has been named America’s best restaurant city, one of the best cities for parks, one of the best cities to launch a fintech company, one of the best cities for teachers, one of the best NFL cities, and the greatest drinking city in the United States. Chicago is experiencing a tight real estate market. Sales are up about 5 percent, but many homeowners in the area hold on to their houses rather than sell. That means there is a shortage of homes for sale — and prices are on the rise as buyers get competitive for the homes that are available on the market. The $200,000 to $300,000 single family home market is particularly competitive. With Chicago’s ultra competitive real estate market, the help of a qualified real estate agent is essential whether you’re planning to buy, sell, or invest in the city. If you’re buying in Chicago, a great real estate agent can help you find the right home and make a competitive offer before your dream house slips out of your hands. Real estate agents can advise sellers whether this is the time to sell or not, and if you do plan to sell, how you can maximize the sale price of your home. Our list features the 15 best real estate agents serving the Chicago area. With years of serving Chicago’s buyers and sellers, these agents have an excellent reputation for delivering results and successfully supporting clients as they make crucial real estate decisions. You can trust their expertise in neighborhood knowledge, pricing, sales, and more. As all of the real estate agents on our list are excellent agents serving Chicago, we have listed them in no particular order. However, we’d like to hear from you to find out which one is the best. Please vote in our poll at the end of this article to let us know which agent you think is the very best in Chicago. Vote today and don’t wait, as the poll will close in 30 days. Elizabeth Ballis is a broker and leader of ballisgroup in Chicago. She has more than 37 years of experience in real estate and specializes in home sales on the North side of Chicago. Ballis and her team deliver exceptional attention with their honesty and professionalism. You can count on dedication, market knowledge, and expert negotiation from Ballis. She offers excellent communication, representation, and is dedicated to meeting the needs of her clients. Ballis is consistently one of the top 10 Coldwell Banker city agents in Chicago. For several years, ballisgroup has been awarded one of the Top Producing Teams in Chicago by the Chicago Association of Realtors. Her team is ranked the number five city team for Coldwell Banker and is among the top 1 percent in the Chicago Association of Realtors. Ballis is the founder of the Coldwell Banker Charitable Foundation and is a past president of the Lincoln Park Chamber of Commerce. Clients say they always feel Ballis is completely on their side and that they can put their trust in her. They count on her for excellent, knowledgeable, and responsive service. She shows excellent dedication, market knowledge, and hard work. Clients appreciate that she is always available and ready to solve every problem for a swift and successful real estate transaction. 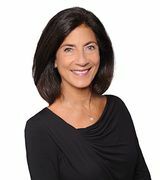 Melanie Giglio-Vakos is the senior vice president of sales with Melanie Giglio Vakos Partners at Jameson Sotheby’s International Realty in Chicago. She has more than 15 years of experience in real estate and specializes as a buyer’s agent and listing agent with interests in relocations and consulting. Giglio-Vakos has a reputation of excellence and professionalism. She is dedicated to sharing her market expertise and maintaining the highest level of service. For more than nine years, Giglio-Vakos has been in the top 1 percent of the market. She has an in depth knowledge of the Chicago market with an expert perspective on value, marketing strategy, and how to negotiate for optimal results. Giglio-Vakos is a luxury property specialist and serves both buyers and sellers throughout the Chicago area, focusing on new construction and resales of condos, townhomes, and single family homes to clients of all types ranging from seasoned sellers and investors to first time condo buyers. Giglio-Vakos is dedicated to offering hands on service, excellent communication, and a seamless process from start to finish. Clients of Giglio-Vakos say she and her team are understanding and hard working. They are dedicated to helping clients time the market and get the best value possible in real estate. They find Giglio-Vakos and her team to be responsive, helpful, knowledgeable, and excellent at negotiations. 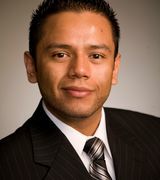 Mario R. Barrios is a broker with Chicago City Properties Group at RE/MAX Vision in Chicago. He has more than 11 years of experience and specializes as a buyer’s agent and listing agent with interests in relocations, consulting, and property management. Barrios delivers honest, dedicated, and hardworking service to each of his clients, offering helpful information and resources to help them make informed decisions. He is always thinking and working ahead to meet the needs of his clients. Barrios has a goal to make selling homes as easy and successful as possible, and to simplify the search for every buyer or investor’s dream home or investment. 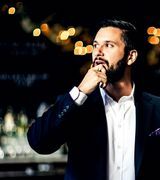 He is a member of the National Association of Gay and Lesbian Real Estate Professionals, the National Association of Hispanic Real Estate Professionals, the National Association of Realtors, and the Chicago Association of Realtors. His real estate designations include Seller Representative Specialist (SRS), Certified Negotiation Expert (CNE), and Short Sales and Foreclosure Resource (SFR). Clients say he is a pleasure to work with and guides them every step of the way with no pressure. He supports them with his expertise, education, and market knowledge. Clients trust him to deliver on their real estate needs, offering expert support and looking out for their best interests. 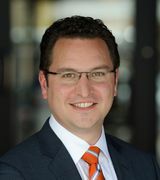 Niko Apostal is the principal broker of The Apostal Group in Chicago. He has 16 years of experience and specializes as a buyer’s agent and listing agent with interests in relocations and property management. Apostal is one of the top residential real estate agents in Chicago. A lifelong resident of Chicago’s north side, he has a local’s knowledge paired with exceptional dedication to education, marketing savvy, attention to detail, and negotiating skills. Apostal offers a personal touch for every client with friendly, professional customer service. Apostal is known as an expert for relocating families, luxury home sellers, and first time buyers. He also supports investors as they secure investment property in Chicago. He is among the top 1 percent of Realtors in Chicago. Clients of Apostal say he is simply the best. They appreciate his knowledge of the city, neighborhoods, and even specific buildings. His service is always responsive and attentive with professional support. Clients love the way he makes the home buying or selling process easier on them as he is always eager to help, stay in contact, and guide them through the entire purchase. They say he is able to deliver on tight deadlines, manage multiple offers, and support them every step of the way with professionalism and caring, consistent service. Millie Rosenbloom is a real estate consultant with Baird & Warner in Chicago. She has more than 34 years of experience in real estate and specializes as a buyer’s agent and listing agent. Rosenbloom has a client first mentality, offering exceptional availability and attention to every client. She and her team are there for clients every step of the way and deliver excellent results. Rosenbloom’s experience offers her knowledge of the market, negotiation skills, and the ability to identify excellent homes for sale. 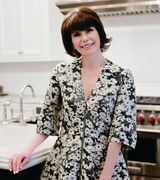 She maintains relationships with landowners, investors, builders, and other professionals in real estate to support her clients. Clients say Rosenbloom is knowledgeable, responsive, enthusiastic, kind, and caring throughout every transaction. They appreciate her patience and commitment to seeing them through every real estate transaction successfully. Clients find her to be a pleasure to work with and appreciate her positivity. They note her dedication to making every real estate transaction go smoothly and count on her for all of their real estate needs. 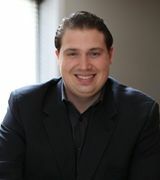 Matt Laricy is the managing broker and partner of Americorp Real Estate in Chicago. He has 12 years of experience in real estate and is a third generation Realtor. He specializes as a buyer’s agent and listing agent with interests in relocations and consulting. Laricy brings hard work, passion for real estate, and charisma to his work in real estate. He serves first time home buyers, home sellers, and buyers and sellers in the luxury real estate market. 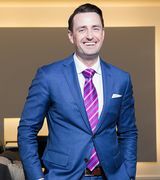 Laricy has been named among the top 1 percent for sales in Chicago, a Top 5 Agent in Chicago, one of Chicago’s Who’s Who Realtors by Chicago Agent Magazine, won the Chicago Agents Choice Award for Industry MVP, and was named one of the Top 30 Agents Under 30 by the National Association of Realtors. He is a past member of the Chicago Association of Realtors YPN board and is a member of the Make-A-Wish Foundation Executive Board. His clients say he offers impressive service, knowledge, and a fun experience. They appreciate his local insight, negotiation skills, and dedication. He offers the ability to understand their needs and support them as they make important real estate decisions, coordinating every detail and negotiate on their behalf. They note he treats their transactions as if they were his own property and work hard to find the right home or buyer for them. He is friendly, patient, and a hard worker they appreciate having on their side. 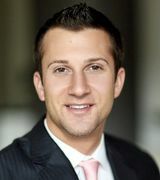 Sam Shaffer is a co owner and managing broker of Chicago Properties in Chicago. He is a buyer’s and seller’s agent with more than 15 years of experience. With extensive experience in the Chicago real estate market, Shaffer is prepared to support any client as they buy or sell a home in the Chicago area. It’s his goal to make every real estate experience as smooth and successful as possible. Shaffer is dedicated to listening to the needs and desires of buyers, then working tirelessly to find the right home. For sellers, Shaffer puts his real estate expertise and marketing savvy to work to make sure homes are attracting the right buyers. Offering extensive information to every client, Shaffer makes sure that you’re able to make an informed, confident decision in real estate. He is always available for personal service to answer questions and find information. Clients say Shaffer lives up to his reputation for excellence. They enjoy working with him and return to Shaffer time and time again for their real estate transactions in Chicago. They are impressed by his knowledge, real estate savvy, and complete availability. His willingness to fight for them in negotiations helps them get the deals they want and they appreciate his support throughout the entire process. 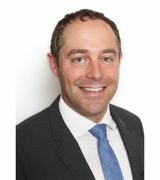 Ryan Grober is a senior partner and agent with Chicago Residential Group in Chicago. He has eight years of experience in real estate and specializes as a buyer’s agent and listing agent with interests in relocations and property management. A third generation real estate professional, Grober follows his father and grandfather who both owned real estate appraisal businesses. Offering an unmatched level of service, Grober creates a memorable, enjoyable experience and listens to his clients as he serves their needs and establishes long term relationships. Grober has a history of excellence in real estate and was named a Top 1 percent producer by the Chicago Association of Realtors in 2015 and 2016. Clients say Grober is a pleasure to work with. They find him to be hardworking, reliable, and knowledgeable. He takes the time to answer all of their questions and offers timely communication to help each client make an informed decision. They appreciate how committed he is to walking them through every step, offering useful information and showing caring for their decision and the end result. With enthusiasm and responsiveness, Grober’s clients feel well supported every step of the way. 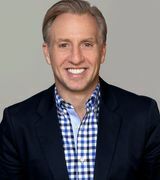 Bruce Glazer is the founder of the Bruce Glazer Group with @properties in Chicago. 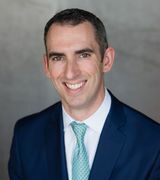 He is in the top 5 percent of Realtors and specializes as a buyer’s agent and listing agent with interests in divorce, estates, and relocations. He offers a boutique concierge real estate service that caters to the individual needs of buyers and sellers in Chicago. Glazer brings an extensive knowledge of Chicago’s housing market and offers education in neighborhood recommendations, market trends, and more. He always protects the best interests of his clients throughout the buying and selling process. His accomplishments include being a top producer with the Chicago Association of Realtors for five consecutive years. As a team, the Bruce Glazer Group has sold more than $50 million in real estate. They achieve a 99 percent listing to sales price with an average of 23 days market time. Glazer is proud to serve every client and goes above and beyond to ensure that their needs are met. Clients say Glazer is practically a magician. They are blown away by his results, particularly his ability to sell homes quickly for excellent values. They appreciate his patience, communication, persistence, and excellent advice. They say he is always responsive, knowledgeable, and has a positive, practical attitude that makes it easy to work with him. Scott Newman is the broker and owner of Newman Realty in Chicago. He has 12 years of experience in real estate and specializes as a buyer’s agent and listing agent with interests in relocations and foreclosures. He founded Newman Realty in 2008. A boutique residential brokerage, Newman Realty specializes in buyer and seller representation, landlord and tenant representation, short sales, foreclosures, and institutional asset management. Newman is known for offering an intimate, boutique experience with exceptional customer service and results. As a team, Newman Realty is one of Chicago’s top producing teams and has been recognized as one of the city’s top brokerages. Clients say Newman is extremely helpful, offering quick responses, excellent knowledge, and the ability to always calm their fears. They feel they can trust and rely on him throughout the process of buying or selling a home. There every step of the way, Clients know that Newman will be responsive, involved, and supportive as they buy or sell homes in the Chicago area. They appreciate his ability to come up with an expert plan and execute it professionally and effectively. Leigh Marcus is a real estate agent with @properties in Chicago. He has 13 years of experience in real estate and specializes as a buyer’s agent and listing agent with interests in moving and staging. Marcus is ranked number one for homes sold at @properties, the number one ranked brokerage in Chicago. His homes sell for a median of 98 percent of list price with a median 21 days on the market. He sold 163 homes in 2016 and was featured on the front cover of Who’s Who in Chicago in 2016. Clients say Marcus is supportive has he helps them navigate the selling process. They appreciate his availability for their every need, preparedness, professionalism, knowledge, and ability to answer every question. Offering thorough, professional service, clients feel supported every step of the way with Marcus and his team. They feel Marcus and his team take the stress out of selling homes and deliver excellent results. 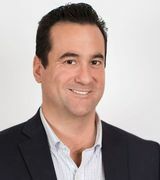 Greg Nagel is the managing broker of Ask Nagel Realty in Chicago. He specializes as a buyer’s agent and listing agent with interests in consulting and property management. With individual sales of $34 million within the last year, Nagel is among the top 1 percent in production for all Chicago brokers. He makes client communications and needs a top priority, offering immediate follow up, availability, and dedication. It’s his goal to make every client feel like his most important client. He offers his best advice and information and allows clients to make the best decisions for their needs. A fierce negotiator, Nagel is dedicated to get his clients the best deal possible. He regularly goes above and beyond to help his clients get the best outcome in real estate, whether that means identifying bad deals, negotiating fiercely, organizing subleasing, or rehab of properties. Nagel’s experience includes a background in finance, development, condo conversion, and general contracting. He now has an excellent understanding of Chicago zoning laws, building permits and inspections, property management, and property tax appeals, offering a wealth of knowledge and information for each client. Clients say they rely on his expert knowledge and advice and find his support invaluable. They note that he skillfully navigates the negotiation process and brings excellent value to the transaction with advice, tools, knowledge, and more. Brad Zibung is a real estate agent with @properties in Chicago. A resident of Chicago since 1999, Zibung has an insider’s knowledge of the city and its neighborhoods. He has personally lived in a number of Chicago’s neighborhoods, including River North, Lakeview, Wrigleyville, Roscoe Village, Lincoln Park, and Albany Park. Zibung takes pride in his passion for work, integrity, and client dedication. He is active in the community, supporting charities including Peace for Pits, the Hear the Cheers initiative, Off the Street Club, and the National Parks Conservation Association. Zibung is a fan of Chicago sports, holding season tickets to the Cubs, Blackhawks, Bears, and Bulls. He is also the founder of The Heckler, a satirical sports blog. Clients say he has excellent knowledge and insight into the real estate market, particularly comps, inventory, seasonal demand, and price ranges. They appreciate how he takes care to listen to their needs and understand the full situation. His suggestions are helpful, on target, and help his clients make wise real estate decisions. Zibung’s clients say he is engaging, consistently dependable, and responsive, and makes the entire process seamless. 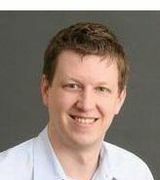 Peter Moore is a real estate agent with Baird and Warner in Chicago. He specializes as a buyer’s agent and listing agent with interests in foreclosures, short sales, and property management, and has been selling real estate for more than 10 years. Moore has lived in the Chicago area his entire life and has a passion for real estate, particularly in Chicago. He has been in the top 1 percent for sales and rental transactions at Baird and Warner and the top 1 percent in sales at Baird and Warner for multiple years. He is also a multiple year Chicago top producer. It’s his goal to always meet the real estate needs of his clients quickly and professionally. Clients say he is excellent to work with and is highly committed to helping them find the perfect solution for their needs. They appreciate that he is there one step ahead of the entire process, guiding them, listening to their needs, and executing their wishes. They say he is professional, responsive, and goes out of his way to meet their needs. 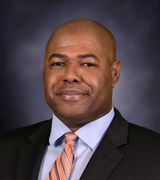 Lutalo McGee is the owner and managing broker of Ani Real Estate in Chicago. He has more than 12 years of experience in real estate. With Ani Real Estate, McGee provides personal, professional service to every client with tremendous attention, experience, and dedication. He serves clients throughout the Chicagoland metropolitan area from the south suburbs to the north and west suburbs, and is experienced in supporting clients of all types, from first time home buyers to seasoned investors. McGee is a Chicago Association of Realtors Top Producer and holds a number of real estate designations, including Graduate Realtor Institute (GRI), Seller Representative Specialist (SRS), Accredited Buyer’s Representative (ABR), Military Relocation Professional (MRP), Certified Negotiation Expert (CNE), Broker Price Opinion Resource (BPOR), and Short Sales and Foreclosure Resource (SFR). Clients of McGee say they are very comfortable working with him. They are happy to rely on him as a knowledgeable, professional, personable, and attentive agent. They appreciate his excellent service and willingness to go beyond what they expect. He works hard to make the process easy for them every step of the way.